Hazardous waste disposal requires careful attention to detail and a high level of professional expertise. Hazardous waste disposal, hazardous material / waste management or hazardous material removal is an effective and efficient way to safely dispose of the waste, that can be potentially harmful to the human and environment. This waste, if not disposed of in a systematic manner poses a serious threat as the harmful gases, liquid or solid makes its way into our food cycle and causes unforeseen health hazards. This is the reason, the government has formalised various laws & regulation to safeguard their citizen health and reduce the environmental contamination. These federal, state and local regulations have licensed some professional & expert service provider that can perform the hazardous removal and recycling hazardous materials services. We, with our logistical channel partners and nationwide team of project specific vendors, gives the most comprehensive services that include, hazardous waste disposal, emergency oil spill response, lab packing services, chemical analysis & profiling, PCB transformer disposal, asbestos disposal, oil cleanup & disposal, light bulb recycling, paint recycling and medical waste disposal. 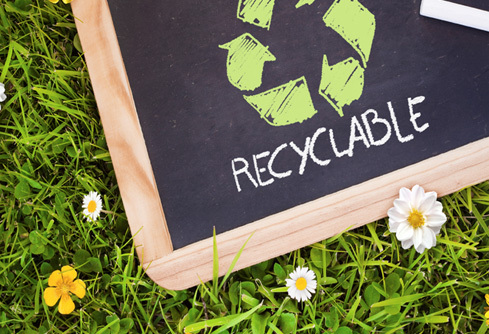 We believe in three words recycle, reuse & reduce and focus to keeping our services aligned to these principles. Our trained professionals are well-versed and are equipped with necessary protective gears. Through our experience and expertise, the company is able to formulate effective plans for treatment, recycling, packaging, transporting, tracking and disposing of hazardous waste. Our authorized services & solutions are time bounded and have a history to remain well within budget. We feel and firmly believe, that it is our responsibility to protect our environment and assist our clients to safely & orderly employ hazardous material disposal methods. As hazardous waste management service provider, the company offers various solutions like counseling, consultation, recommendation, disposal, recycling, planning and coordinating procedures to our clients to better manage their waste and become eco-friendly. Our company first focuses on the reduction by focusing on segregation, overall it is a process of evaluation. Thus, the waste is differentiated on chemical, physical & biological parameters. Followed by various operations to manage disposal/ recycling techniques, while complying with associated rule & regulation. Rendering all these services the company prevents environmental pollution & contamination while keeping a firm grip over hazardous waste disposal cost. With our ethical business policies, customer-centric approaches and our extensive successful project have earned us a reputation of being one of the most reliable company in hazardous waste disposal in Los Angeles & San Diego, USA. So, regardless of the size of your organisation or your requirement, we are specialised in performing a quality hazardous material clean up and hazardous waste recycles services, that are rendered within a strict time frame and all that while conforming the set budget. With our waste disposal services, you will be able to acquire the requisite US certification and thereby focus on your business productivity. Therefore, with our nationwide coverage and associated partner network of authorised processors, transporters and hazardous waste landfills, we provide end-to-end services & solution for hazardous waste disposal in the USA.